Abruzzo in Japan, authentic Italy in the heart of Tokyo. We all know that Italy undoubtedly is on top of the list of most travelers’ wishes and Italian cuisine is appreciated all over the world. The charm of Italy is timeless, but what do people actually know about the real Italy apart from the main touristic spots and the most renowned dishes? From North to South Italy is full of hidden treasures, and Regional cuisine is the most authentic expression of the Italian culinary heritage. Hidden Italy Tours, an emerging Travel Company based in Abruzzo (Italy) knows it well, and with the goal of making travelers discover the hidden treasures and flavors of Italy, has just started to organize a series of promotional events around the globe together with renowned chef and food blogger Vincenzo’s Plate. 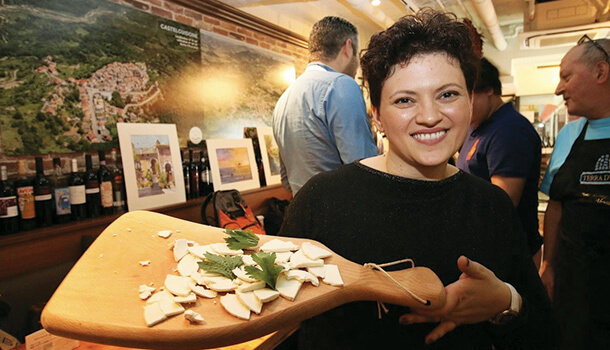 Francesca Cichella, founder of Hidden Italy Tours, and Vincenzo Prosperi are two passionate foodies and share the same passion for their native Region Abruzzo, one of the best kept secrets of Italy. 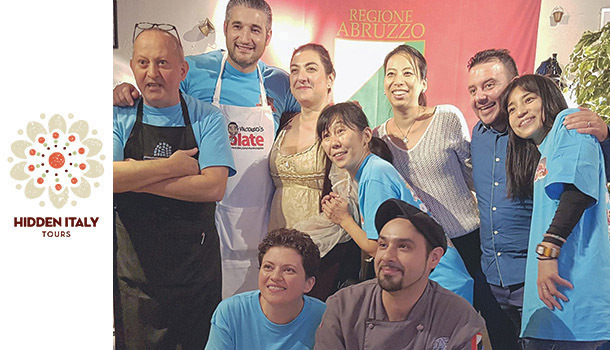 They have started their adventure in the Land of the Rising Sun with their first promotional event “Abruzzo in Japan”, held in one of the best Italian restaurants in Tokyo, the “Trattoria dai Paesani”, the one and only Abruzzese restaurant in Japan and the Asia-Pacific area. 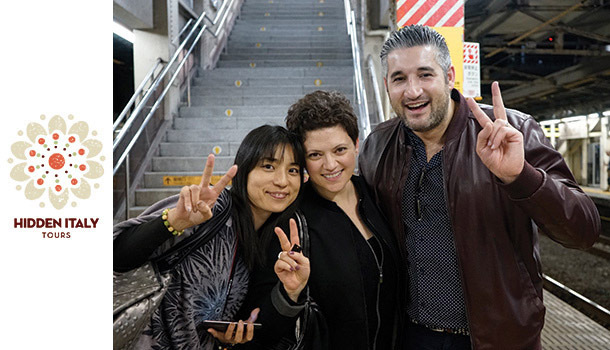 The Trattoria, situated in the business district of Shinjuku in Tokyo, has been funded by Giuseppe Sabatino and Davide Fabiano, two passionate Abruzzesi who have brought a piece of Abruzzo in the heart of the metropolis. In just a couple of years the Trattoria has become a point of reference for all those who love Italy and Italian food. 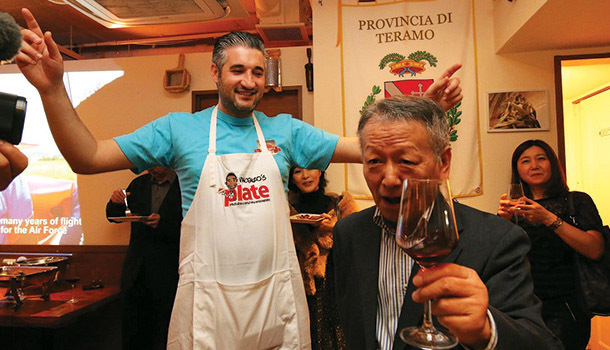 The special travel & food event “Abruzzo in Japan” has been a chance for 120 lucky guests to immerse themselves in the authentic Italian atmosphere thanks to a selection of the best traditional dishes prepared by the Trattoria, and some of the best typical foods and drinks brought from Abruzzo. The food, the art, the traditions and exceptional images of the iconic landscapes of Abruzzo who have been displayed during the events have made the participants forget they were in Japan for one night. The appreciation and the surprise effect seen in their faces show that Italy is a Country that has still a lot to offer to its visitors. A side of Italy made of picturesque villages, small historical towns, wineries, olive groves, mountains, castles, beaches and organic farms where it is still possible to live authentic experiences far from mass tourism. Have you been to Tokyo yet? The video below will show you the best 10 Things To Do in Tokyo. Make sure you watch it and enjoy Tokyo as much as possible.